Hubert Strassl was born on 24 May 1918 at Linz in the Donau region of Austria. Strassl was posted to JG 51 based on the Eastern front at the end of 1941. Unteroffizier Strassl was assigned to 9./JG 51. He recorded his first victory on 6 July 1942, when he shot down a Russian Pe-2 twin-engine bomber. On 19 August, Strassl claimed four Pe-2s shot down to record his 7th through 10th victories. By the end of 1942, he had 13 victories to his credit.  In March 1943, Strassl was transferred to Ergänzung-Jagdgruppe Ost to undertake instructional duties. In May 1943, Strassl returned to front line duties with 9./JG 51. He quickly recorded six further victories before transferring to 8./JG 51 on 5 June. In June he claimed 22 victories, including his 20th shot down on 6 June, six victories on 8 June (21-27), three Russian MiG-3 fighters shot down on 11 June (28-30) and further three MiG-3s shot down on 28 June (34-36). On 5 July, he shot down 15 enemy aircraft in four missions south of Orel to begin an incredible four days in which he shot down 30 enemy aircraft. He claimed four victories on 6 July, six on 7 July and five on 8 July to raise his victory total to 67. Strassl was shot down, in Fw 190 A-4 (W.Nr. 142 351) “Black 4”, south of Poniri by a Russian LaGG-3 fighter on 8 July 1943. He baled out at low level but his parachute failed to deploy. 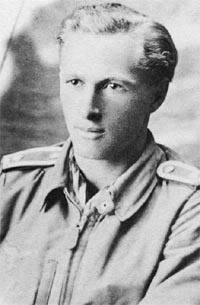 Oberfeldwebel Strassl was posthumously awarded the Ritterkreuz on 12 November. Hubert Strassl was credited with 67 victories in 221 missions. He recorded all his victories over the Eastern front and included six Il-2 Sturmoviks in his victory total.